We love this little community! We met Diana awhile back when she came to us for our Off Camera Flash mentoring session. I immediately liked her. There is something about a girl who is down to earth, genuine, and not afraid of some dry wall and paint! My kind of girl! I was so excited to hear through Facebook of course that they would be expecting their first baby! 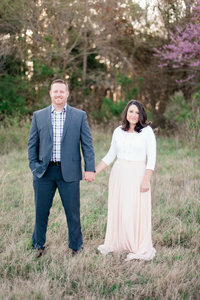 And we were completely honored that she asked us to do her maternity pictures for her! It is always such a compliment when another photographer asks you to document their most special moments. These two decided on CNU as their location to commemorate their upcoming arrival of their sweet baby girl. Christopher Newport is not only special to them because they are alumni, but it is more importantly the place where they met and fell in love. The campus takes them back and brings sweet memories to them of their beginning. And what a way to celebrate a new beginning. A new life and the joys that come along with being parents! Their sweet little girl is due on their dating anniversary. Which is so cute! They were beaming with joy throughout the session. Diana is going to be an amazing, caring, and compassionate mom. Daniel is going to be an amazing, caring, and passionate dad whose going to be wrapped around his little girl’s fingers. Which is going to be absolutely perfect. Congratulations you two! We look forward to meeting your little one and enjoy all these sweet little moments! For this child I have prayed… Print made by the talented Dani White! Go check out her work!